Emaar Hospitality Group will replace “in due course” the Sean Connolly at Dubai Opera restaurant with a new concept, Dubai-based Arabian Business reports. “We can confirm that the brand ‘Sean Connolly at Dubai Opera’ will be replaced in due course,” a spokesperson for the group told the media. “The venue will operate an exciting new dining concept that promises an experience elevating the iconic location. Stay tuned as the new owner and operator announces more details of their plans,” the spokesperson added. The move is confirmed by Sean Connolly himself to Esquire Middle East noting that both parties are partying from Jan.15. “It’s with great sadness that I leave my baby behind, but I do intend to keep coming back to Dubai,” he was quoted as saying the magazine. 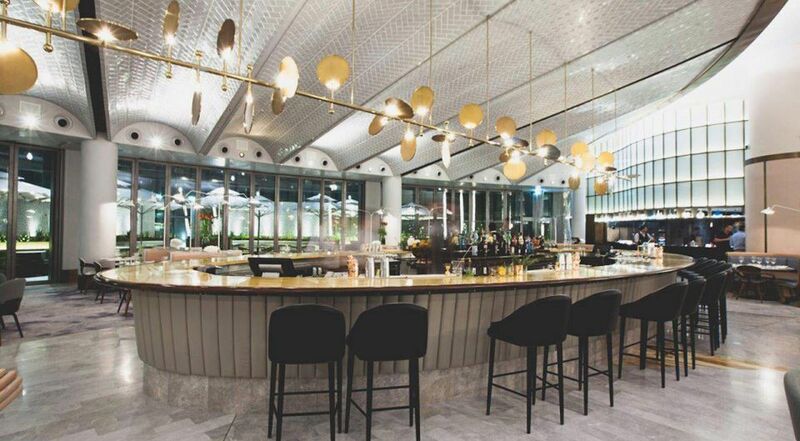 Dubai Opera restaurant was opened in July 2017 and comprises a main restaurant, private dining room, chef’s table, bar and outdoor rooftop terrace that overlooks views of the BurjKhalifa. The restaurant is the first hospitality venue run in the Middle East by Connolly. Connolly also operates restaurants in Australia and New Zealand. Posted by KanelkaTagba on Jan 7 2019. Filed under Gulf News, Headlines. You can follow any responses to this entry through the RSS 2.0. Both comments and pings are currently closed.